It was Christmas, and Daphne wasn’t feeling well. Thinking their 19-month-old had a cold, her parents weren’t worried – until she suddenly got much worse. A visit to the pediatrician found that Daphne’s blood sugar was five times the normal level. She was going into diabetic shock, a life-threatening condition called diabetic ketoacidosis. Theresa and her husband, Luke, were told to bring Daphne straight to the Emergency Center at Rady Children’s Hospital-San Diego, where the staff would be waiting for her. By the time they arrived, Daphne was extremely sick, lapsing in and out of consciousness. She was diagnosed with type 1, "juvenile," diabetes, an autoimmune disease in which the pancreas produces little or no insulin; insulin is a hormone that enables the body to use glucose – a type of sugar in the blood – for energy. It is not caused by diet or lifestyle. Type 1 diabetes can affect major organs, including the heart, blood vessels, nerves, eyes and kidneys. But with proper care, the risk of complications can be dramatically reduced. After being in the Sam S. and Rose Stein Emergency Care Center, Daphne was moved to the pediatric intensive care unit, where she stayed for a week to get her blood sugar to a safe level. Once Daphne returned home, managing her diabetes became a full-time job. “It is a day-to-day, 24-hours-a-day disease,” Theresa explains. “Imagine getting poked by a needle eight to 10 times a day or having your blood sugar checked every couple of hours at night as a very young child." Daphne sees an endocrinologist from Rady Children’s every three months and a dietitian once a year. “The nursing staff in Endocrinology is amazing,” Theresa says. “They are not just there for your medical needs, but also emotionally, being supportive. When you have a child with a disease that is life-threatening on a daily basis, there is a lot of stress that comes with it. You try to stay on top of it as much as you can and still keep a normal life.” Theresa is also grateful to dietitian Lisa Amir, who supported her in continuing breastfeeding past diagnosis. Daphne, now 5, has good days and bad days. Theresa does not focus on the diabetes, letting her daughter know that if she puts her mind to it, she can do anything. “I would take the disease from her if I could, but you learn after a while to start to see things that are blessings,” Theresa says. 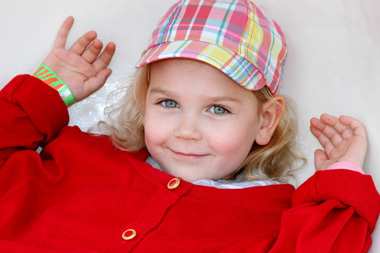 “You are grateful for the doctors that saved your child’s life, grateful for the medications that help keep her alive. To watch your child grow in grace and with more strength and courage than most adults know...there are no words to describe how precious their life is."